The Polsky Center is proud to have supported many successful startups incuding Braintree, Grubhub, and Simple Mills. Spanning various industries, the Polsky Center is a resource for hundreds of community members, students, faculty, and alumni looking to bring an idea to life. Learn more about an assortment of these companies by clicking on the logos below. Agile MD, formerly known as Agile Diagnosis, is a web, mobile, and EHR-integrated application that provides clinicians fast access to guidelines, protocols, and reference information. Thanks to AgileMD, organizations are improving the quality of care, reducing unnecessary utilization, and lowering the risk of medical error. In fact, founder, Borna Safabakhsh, MBA ’11, and his team won first place at the 2011 Edward L. Kaplan, ’71, New Venture Challenge (NVC), and $25,000, with this idea. Now headquartered in San Francisco, AgileMD has supported over 40,000 clinicians and over 15,000 medical documents are published through the platform. AgileMD is also the only clinical decision engine and guideline platform available on every device. Go give @agileMD a follow to stay up-to-date on their journey — no excuses Droid users. 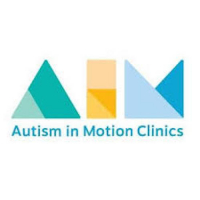 Autism in Motion (AIM) Clinics provides the gold standard autism therapy to children in rural US communities. AIM Clinics seeks to purposefully focus on markets where the shortage of therapy is the most severe and the autism care ecosystem is least developed and deliver high-quality, evidence-based ABA therapy to children in those underserved communities. Inspired by the organization’s clinical director who turned to ABA therapy for her two sons diagnosed with Autism Spectrum Disorder, founder, George Boghos, worked to provide this form of therapy to all families searching for support. With tailored treatment for each individual patient, AIM hopes to maximize potential for all parties involved. By helping children hone their communication, social, academic and life skills, AIM works towards giving each family security in knowing their child has opportunities and can operate independently. AMOpportunities connects international students and trainees to over 300 educational programs hosted by U.S. institutions, hospitals, clinics, and physicians. This marketplace platform between international medical trainees and U.S. clinical rotations is built by and for students. AMOpportunities won first place and $100,000 in the New Venture Challenge, including $20,000 for their acceptance into the Pritzker Group Venture Fellows Program this summer, $25,000 from OCA Ventures, $25,000 from The Caruso Family Foundation, and $30,000 from the Polsky Center. Jump in, we’re going to Belgium. Appiness is a video commerce company that allows time-stamped products and brands in local and international videos to be made shoppable via any smart device. A product of the Global New Venture Challenge, the Appiness team and founder Jonas De Cooman, MBA ’16, wowed judges at the 2016 finals and took home $7,500. Their app, Spott enables users to find out where to buy items they see on screen during advertisements and certain television programs. Using metadata linked to what is happening on the screen, the app is able to identify the price of items users can see and links to the website where they can be bought. 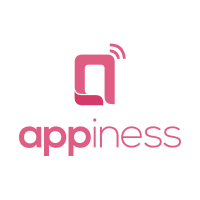 Give @appiness_inc a follow and start deciding what you want to add to your online order queue while you’re at it. Ascent is a software-as-a-service company that helps financial service firms track and comply with relevant regulations. The Ascent platform makes it easy for compliance officers in regulated industries to see exactly what is expected of their companies, then track and report on the steps they’re taking to stay compliant. The company was a finalist at the 2015 Edward L. Kaplan, ’71, New Venture Challenge and was founded by Brian Clark, MBA ’17, and Aaron Droba, MBA ’16, while they were students at Chicago Booth. NVC team members included Shreyas Gosalia, Deepak Jayanti, and Faraj Khasib. Follow @AscentRegTech to stay up-to-date on all things fintech, finance, and machine learning. BallotReady is an online voter guide that provides tailored, easy-to-digest information on the candidate and referendums listed on local ballots. The BallotReady app is designed to raise the number of informed voters and increase voter turnout. Sharing a vision to create a more informed electorate and strengthen democracy by helping voters vote informed, all the way down a ballot, founders Alex Niemczeweki, AB ’09, Aviva Rosman, and Sebastian Ellefson, AB ’03, joined forces in 2014. Less than a year later, BallotReady won the John Edwardson, ’72, Social New Venture Challenge (SNVC) taking home $30,000. Today, BallotReady aggregates information from candidates’ websites, social media, press, endorsers, and board of elections data for the latest, most accurate details about the candidates and referendums on ballots. Follow @BallotReady before checking any boxes during the next election. When Base was first founded in 2009, we knew the company as Future Simple. 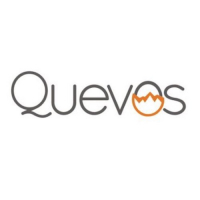 Despite this tweak in the name, the company has continued to leverage cutting edge technologies to deliver a seamless web and mobile experience that will change the way you sell. Founded by Uzi Shmilovici, MBA ‘11, Bart Kiszala, and Pawel Niznik, Base has raised $53 million in capital across three rounds of funding from Index Ventures — all within 10 years of participating in the 2010 Edward L. Kaplan, ’71, New Venture Challenge (NVC). 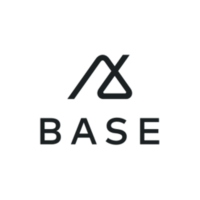 Base is on a mission to power a seamless and scientific sales experience. And, with a data-driven team of over 7,000 employees they are certainly heading in the right direction. Follow @getbase to see why this big data company is a big deal. BenchPrep is helping millions of people all around the world learn better and faster by leveraging the power of technology, data, and innovative instructional design models. Ashish Rangnekar and Ujjwal Gupta noticed a need for more efficient on-the-go way to learn while Ashish was studying for the GMAT, struggling to carry around his test prep books to utilize any available free time during his full time job. After the success of their GMAT prep mobile app, the first ever iPhone test prep app, BenchPrep came to life as customized learning experience for students of all fields. 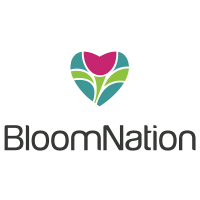 BloomNation is a community marketplace for people to list, discover, and send unique bouquets handcrafted by local florists across the country. Founded by David Daneshgar, MBA ’12, Farbod Shoraka, and Gregg Weisstein, this company won $10,000 in the Edward L. Kaplan’ 71, New Venture Challenge (NVC). Today, BloomNation, which has been featured in TIME Magazine, Forbes, The New York Times, and on the Today Show, among others, continues to hand deliver unique, local blooms across the country. Follow @Bloomnation as they continue to make your holidays, anniversaries, or any occasion a little more special. Braintree provides payment processing options for thousands of online mobile companies including Airbnb, Uber, Fab, and LivingSocial. Braintree is now a subsidiary of PayPal, and is in 46 markets across North America, Europe, Asia, and Australia. Founder, Bryan Johnson, MBA ’07 started the company in 2007 and placed first in the Edward L. Kaplan, ’71, New Venture Challenge (NVC) and taking home $25,000. Braintree was acquired by eBay PayPal in 2013. Today, Braintree has seven global locations, over 500 employees, and an infinite passion for payments. Give them a follow — and think of them the next time you send a friend money — @braintree. BrewBike, a Chicago Startup, operates mobile coffee carts in an effort to make cold brew more accessible to students and faculty on college campuses nationwide. A partnership between undergraduate of Northwestern and MBA student at the University of Chicago resulted in BrewBike’s expansion and introduction into venture competitions at both schools. BrewBike was awarded $20,000 at Northwestern’s VentureCat and $45,000 at Chicago’s New Venture Challenge. CancerIQ is a digital health company that is lowering barriers to personalize cancer care. 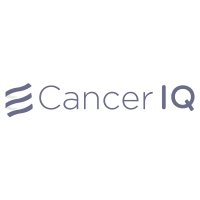 CancerIQ empowers your everyday doctor with the knowledge and skills needed to deliver cancer risk assessment, prevention, and genetically-informed treatment. Co-founded by Feyi Olopade, Moe Alkhafaji, Haibo Lu, and Olufunmilayo in 2013, the team assembled to solve the growing problem of patient success. With this in mind, the company opted to compete in the 2014 Edward L. Kaplan, ’71, New Venture Challenge (NVC) and took home $10,000 after placing fourth. Today, CancerIQ offers capabilities in diverse practice settings such as breast centers, genetics practices, and OBGYN making it easy for providers to offer geneticapp cancer risk assessment programming to every patient. Follow @CancerIQ as they make strides in the healthcare industry to grow highly impactful cancer programs at lower costs. CaptainU LLC recruiting software is changing the recruiting game of college sports. Whether you’re an athlete following your dream or a college coach building towards a championship, CaptainU has the tools to take you to the next level. Founders Avi Stopper, MBA ’06, and Michael Farb, MBA ’09, started their company in 2008 to empower high school athletes and college coaches to make and build college teams. The Captain U Edward L. Kaplan, ’71, New Venture Challenge (NVC) team won first place in 2008 and took home home $25,000. Today, more than one million athletes use CaptainU to promote themselves to college coaches and over 5,000 college coaches have managed their recruiting process from beginning to end using its service. Lace up your sneaks, snap on your snapback just right, and give CaptainU a follow @CaptainU. ClostraBio is dedicated to understanding and treating food allergies and other disease of the immune system. Founded in 2016 by Cathryn R. Nagler, PhD and Jeffrey A. Hubbell, PhD, ColstraBio is making strides in the discovery and development of new therapeutics that modulate the protective ability of the microbiome. ClostraBio’s team is passionate about treating diseases linked to allergic reactions like eczema, asthma, and allergic rhinitis. With assistance from the Polsky Center’s Technology Commercialization and Licensing team, the company was advised on how to define and protect its intellectual property. With this knowledge and their goals in mind, the company set its sights on the 2017 Edward L. Kaplan, ’71, New Venture Challenge (NVC) and the George Shultz Innovation Fund. John Colson, PhD, Director of Operations, along with Chicago Booth students, William Aubin, Su Fu, and Monica Vajani were awarded $40,000 and a fourth place finish at the NVC. That same week, ClostraBio was awarded up to $200,000 by the Shultz Innovation Fund advisory committee after the team’s presentation on their work that targets food allergies. The company has been featured by CBS News, BBC News, and Time Magazine among others. 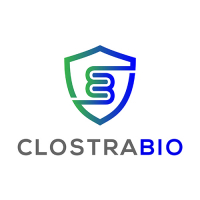 Go give this company a follow @ClostraBio as they look to transform the classification of allergic reactions as we know it. Cubii is a compact, connected, and affordable under-desk elliptical that integrates wirelessly with mobile devices and existing fitness trackers in order to make sitting healthier and more social. Founded by Arnav Dalmia, AB ’13, Ryota Sekine, AB ’13, and Shivani Jain, after learning that moderate amounts of exercise all day helps reduce risk of heart disease, diabetes, and even some forms of cancer, these three College students at the University of Chicago decided to make their workday more active. Since placing 2nd at the 2013 College New Venture Challenge, Cubbi has since been featured by Fox News, Forbes, NBC, ABC, the Huffington Post, Chicago Tribune, and more. 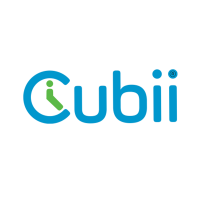 Next time you’re bored on the elliptical, check out @MyCubii. 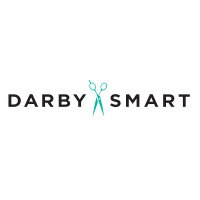 Darby Smart is a video community where people watch and share snappy how-to videos. Founded by Nicole Farb, MBA ’09, Darby Smart has become a resource for people to learn and be inspired every day. Today, over 6,000 videos have been created equating to 67 million monthly impressions all backed by a 25-person team. If this doesn’t make you want to pick up a paintbrush then perhaps knowing that Nicole has D-I-Y’ed with your morning friends at Good Morning America like Michael Strahan, your co-to recipe connoisseur, Rachel Ray, and even impressed actress Sarah Michelle Gellar will. Go on, you know you want to do some arts and crafts. Following @darbysmart can get you started. ExplORer Surgical is an interactive surgical playbook that promotes optimal teamwork in the operating room. Best practices are built into a surgeon-customized workflow for each case. Surgical activity can be tracked and adjusted as part of a learning health system. Founded by CEO Jennifer Fried, MBA ’15, and CMO Alexander Langerman, MD ’05, SM, ’15, the company launched with a goal to create safer and more efficient surgery in 2015. The company worked with the Polsky Center’s Technology Commercialization team to license their technology. That same year they were the runner-ups at the Edward L. Kaplan, ’71, New Venture Challenge (NVC) taking home $50,000. Today, ExplORer Surgical aligns with many health systems’ goals of improving quality of care and lowering costs. Whether you’re a patient, member of a surgical team, an administration or are just obsessed with medical television dramas, visit explorersurgical.com to see how they are changing what it’s like to be in an operating room. What started out as a mobile app letting users shop a curated collection of drinks, food, and everyday essentials that are delivered to you in under an hour, now has two brick-and-mortar locations for those of you running to a party without a bag of chips and dip in hand. 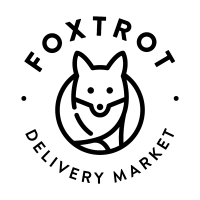 Founded in 2013, FoxTrot is a combination of “1 part store, 1 part curator, and 1 part delivery” giving the public access to quality goods in a convenient manner. Taking their idea and business model through Phase II of the 2013 Edward L. Kaplan, ’71, New Venture Challenge (NVC), founder Michael LaVitola, MBA ’14, has become a favorite Chicago startup that’s been recognized by the likes of CNN, and the always trendsetting, Thrillist. Whether you want some pie delivery to you from your favorite Chicago spot on a Friday night or you plan on bringing some party staples to your friends house, FoxTrot is proving it has you covered for any occasion. Go ahead, follow @foxtrotchicago and try not to order something, we dare you! BeeNana makes Frönen, a banana based frozen dessert innovation that is tasty, pure, and simple. 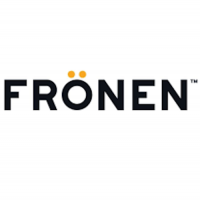 Since winning the 2017 College NVC and graduating from the Polsky Accelerator, Frönen has already expanded into many grocery stores and delivery services. Grubhub is an online food ordering and delivery service dedicated to connecting hungry diners with local takeout restaurants. The company’s online and mobile ordering platforms allow diners to order directly from approximately 50,000 takeout restaurants in more than 1,100 US cities and London. CEO and cofounder, Matt Maloney, MS, ’00, MBA ’10, and his team, started the company in 2004 and now processes more than 290,000 daily orders. The Grubhub Edward L. Kaplan, ’71, New Venture Challenge (NVC) team won the competition in 2006 taking home $17,500, plus an additional $7,500 from the Illinois Department of Commerce and Economic Opportunity. Today Grubhub has offices in Chicago, New York and London. Follow Grubhub, and order a snack while you’re at it @grubhub. Hello Tractor rents two-wheel tractors to small farmers in Nigeria to increase crop yields and combat against income and food insecurity. Their artificial intelligence powered tractors offer stronger and more profitable machines with better decision making. Tractors can be requested through Hello Tractor’s mobile app or booking agents and are monitored throughout the rental after pairing with farmers. 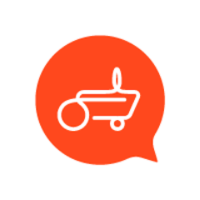 Hello Tractor’s service benefits farmers, tractor owners, booking agents, and dealers alike. LuminAID Lab develops cost-effective, solar-rechargeable lighting products in order to make light more affordable, portable, and sustainable. Its first product, the LuminAID light, is an inflatable, lightweight, waterproof solar lantern that can be packed and shipped flat, and is ideal for use in emergency and disaster situation. Cofounders, Andrea Sreshta, MBA ’16, and Anna Stork started their company with the thought that in addition to basic human needs such as food, water, and shelter, another critical need is light. LuminAID is now lighting the way for hikers in Yosemite, backpackers in Whistler and emergency workers in Nepal. LuminAID also sparked the interest of ABC’s Shark Tank. In addition to impressing the investors on the television show, the company also wowed the judges at the 2012 John Edwardson, ’72, Social New Venture Challenge (SNVC) winning first place and taking home $25,000. Today, LuminAID lights have been used in more than 70 countries and after disasters, including Hurricane Sandy and Hurricane Harvey, Typhoon Haiyan, and the earthquakes in Nepal. You can buy a light, give a light, and follow @luminAIDlab to see what light bulb idea they’ll come up with next. Mighty believes that you are just as impactful as the banking industry. 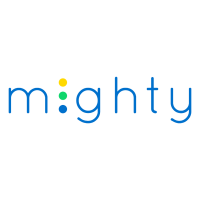 As a Polsky Incubator alum, we think Mighty is pretty impactful too. The company brings transparency into your choices to bank for impact, and to keep you connected to the impact of your money. Founded by Megan Hryndza, Mighty is dedicated to developing a technology that helps everyone experience greater transparency of impact in banking. Since 2013, these next-generation leaders have embarked on building next-generation banking experience. Follow @mightydeposits to see how they continue to make an impact. MoneyThink is the only movement of young people working to restore the economic health of America through financial education. Founded by College alum Ted Gonder, AB ’12, Moneythink is a resident of the Polsky Incubator with a vision that by the year 2030 every student will enter adulthood equipped with the knowledge, skills, and tools necessary to navigate the financial decisions of the real world. Combining time-tested learning techniques with evidence-driven innovation, Moneythink is extending learning beyond the classroom. Follow @moneythink to see how they continue to change financial stats of young people across the country. NETenergy is a thermal energy storage (TES) company known for its thermal battery that stores cold energy which can save building owners 30% or more on their energy usage and reduce carbon emission by 50%. Named Black Ice technology, this battery creation, works like an electrical battery, but is an intelligent energy storage solution. Founders Said Al-Hallaj and Mike Pintar, MBA ’16, developed the company to address the problem with on-peak energy consumption. With this in mind, the team competed in the 2015 Edward L. Kaplan, ’71, New Venture Challenge (NVC) and finished in second place bringing home $40,000, which included the inagual Khosa Maker Award. 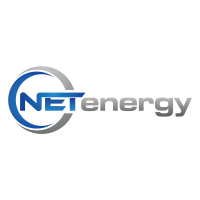 In addition, NETenergy is a former Polsky Exchange Incubator company. Follow NETenergy on LinkedIn and see how they are heating up the thermal energy game. Parallel Works is a Software-as-a-Service provider that removes the complexities of advanced computation to make large-scale modeling, simulation, and data analysis simple. In order to do so, technology was developed by the Computation Institute at the University of Chicago and Argonne National Laboratory. With a team made up of tech, industry, and business leaders, Parallel Works is dedicated to building a sustainable business that enhances the design, research, and development efforts of its customers while supporting the development and innovation of parallel computing technology. With its founder and CEO, Michael Wilde, leading the way, the company is driven by its mission to accelerate innovation in organizations around the world. Incubating with the Polsky Center for Entrepreneurship and Innovation at the Polsky Exchange was one step in furthering this mission. 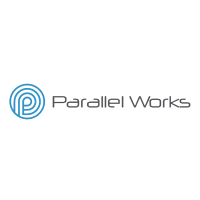 Give Parallel Works a follow @ParallelWorks to see how they are shaking things up by advancing technical studies with high performance computing in the cloud. 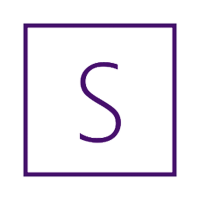 PartySlate is a digital community for party hosts, professionals, guests, and spectators who want to find resources, photos, ideas and be in the know—across the country and world. It is a digital platform and mobile app dedicated to capturing, sharing, and curating party photos. Founded by Julie Novack and Kristin McMillin in 2015, this company is driven by the idea that inspired events inspire people. Whether it’s the venue, food, photography or entertainment, this former Edward L. Kaplan, ’71, New Venture Challenge (NVC) team has fine-tuned their craft. Follow @PartySlate to plan a gathering even Jay Gatsby would be proud of. Pie for Providers, a Software as a Service solution, provides a project management platform for independent childcare providers. Founder Chelsea Sprayregen wanted to alleviate childcare providers of the difficulties of keeping up with paperwork and administrative tasks that are necessary to legally carry out their main duties. Pie for Providers hopes to optimize workflow and get money childcare providers are eligible for into their pockets by bringing basic business software into the childcare realm. In supporting and giving valuable time back to providers, Pie expects to increase quality of care for families and eventually affect a change in the system. PrepMe combines innovative technologies with the highest quality educational content to provide students with scalable, personalized feedback while engaging them through quality curricula. 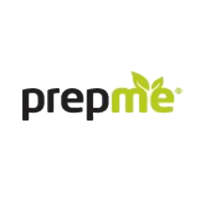 That’s right, PrepMe, which was acquired by Ascend Learning in 2011, has changed the game in the test preparation industry. Starting with exams like the SAT and ACT, the company offers online resources for standardized achievement tests, in particular those offered by the Educational Testing Service. With founders Karan Goel, MBA ’06, Avichai Garg, and Joe Jewell, leading the way, the company’s Edward L. Kaplan, ’71, New Venture Challenge (NVC) team finished in first place at the 2005 competition taking home $20,000. Check out the impact they’ve made on education by following @ascend_learning. Rise Interactive, formerly Internet Marketing Institute, is a digital marketing agency that specialized in digital media and advanced analytics. Founded in 2004 by Jon Morris, MBA ’05, with what was initially an idea to teach traditional marketers about digital has since grown into an award-winning digital marketing agency. After a second place finish at the 2008 Edward L. Kaplan, ’71, New Venture Challenge (NVC), and taking home $10,000, Rise Interactive continues to help clients shift marketing investments while delivery relevant experiences for their customers. It its tenure, Rise Interactive has been recognized by Moxie, AdAge, Fortune and OMMA. 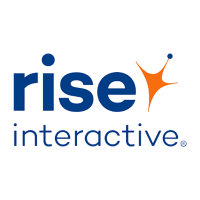 Follow @RiseInteractive and see how your favorite companies like Atkins, Pandora Charms, Ulta Beauty, and more have benefited from their services. Seurat Therapeutics is based on years of research by Richard Kraig, MD, PhD, at the University of Chicago that targets a naturally-derived cure for migraines aimed at the root cause rather than alleviating the symptoms. Based at the Polsky Center for Entrepreneurship and Innovation’s Polsky Exchange, the team has a vision to give the roughly 4 million people in the US who suffer from migraine their lives back. The migraine treatment is an Insulin-like-growth factor-1 (IGF-1) nasal spray formulation that can relieve migraines within 30 minutes. Seurat Therapeutics licensed their technology through the UCGo! express license program, participated in the Polsky I-Corps program, and was awarded up to $250,000 to support their developments by the George Shultz Innovation Fund. Check out their LinkedIn to stay up-to-date on their efforts in eliminating the ever-pesky migraine. Simple Mills makes delicious almond flour baking mixes with simple, nutrient-rich ingredients. Founder, CEO, and Chicago Booth student Katlin Smith started her company in 2013 based on a desire to create simple, healthy, and delicious food. Katlin and her team won first place at the 2014 Edward L. Kaplan, ’71, New Venture Challenge (NVC) taking home $30,000. Today, you can find their products at Whole Foods Market, Jewel Osco, Marianos, and Target. And, trust us, you’ll want all of them in your pantry. Follow their tasty, yet healthy journey @SimpleMills. SoCore Energy LLC is humble, hungry, and smart — it’s actually the company’s motto. 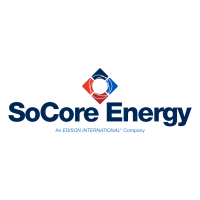 SoCore Energy is the market leader in solar portfolio development and commercial rooftop installations. By combining engineering excellence and financial innovation, the company has discovered how to reduce the operational and bottom-line expense of solar energy implementation, cut energy costs, and hedge against utility-rase increase. Founder Pete Kadens and his Edward L. Kaplan, ’71, New Venture Challenge (NVC) team finished in third place at the 2008 competition and took home $10,000. Almost 10 years later, SoCore Energy continues to live up to their motto. Follow @SoCore_Solar, to see how they continue to heat up. TAINA is a start-up with a mission to help financial institutions comply with their regulatory obligations while saving costs and cutting risk of fines. 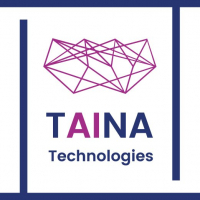 TAINA software will automate certain labor-intensive compliance functions which currently require manual intervention by leveraging the power of machine learning. Through digitization and automatic validation of hundreds of millions of tax-related forms that institutions process annually, TAINA will help improve tax transparency. Tovala, is a smart counter-top appliance that cooks a fresh, complete meal by itself, after customers insert fresh grains, vegetables, and proteins into custom pods. CEO and founder, David Rabie, MBA ’15, started his company in hopes of creating a home-cooked meal in less time. With the mission to live and eat well, David and his team won first place at the 2015 Edward L. Kaplan, ’71, New Venture Challenge (NVC) bringing home $70,000, along with some great meals. Today, the Tovala team is based in Chicago and exceeded its kickstarter campaign goal of $100,000 in less than 24 hours. Today, you can buy your very own Tovala steam oven and impress all your dinner guest with some impressive meals. Follow @tovalafood and see what’s for dinner. The Polsky Center has partnered with a number of company partners to further develop University-based technologies through licenses and sponsored research. The Polsky Center is proud to continue these relationships and seeks to build new partnerships. Learn more about some of our current partners by clicking on the logos below or visiting the Select Licensees page. AbbVie provides funding for a collaboration with UChicago that supports preclinical research, clinical trials and possible future programs at the University resulting from this partnership. 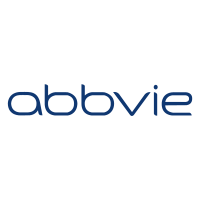 The overall collaborative efforts provide University of Chicago physicians and researchers with the opportunity to participate in AbbVie-sponsored clinical trials, access to new therapies developed by AbbVie for use in preclinical research funded under the collaboration, and engagement with AbbVie’s research and development teams to promote scientific knowledge exchange. Stay up-to-date on all AbbVie’s biopharmaceutical news @Abbvie. Learn more about AbbVie’s partnership with the Polsky Center here. This company is transforming lives and isn’t looking back. As pioneers in immunotherapy, Aduro Biotech is transforming lives by discovering, developing, and commercializing immunotherapies that are making big changes in the treatment of challenging diseases like cancer. Collaborating with the Polsky Center’s Technology Commercialization and Licensing team, Aduro Biotech is paving the way with several leading-edge proprietary technologies designed to initiate and sustain the immune system to mobilize and attack tumors. With an extensive pipeline of three proprietary technology platforms — Live, Attenuated Double-Dated (LADD), STRING Pathway Activators, and B-select monoclonal antibodies –immunotherapies have been developed to target a variety of cancers as well as infectious and autoimmune diseases. 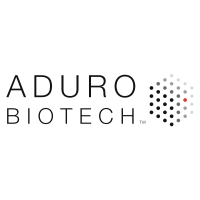 Follow along with Aduro Biotech’s journey on LinkedIn as they look to continue changing the landscape of cancer care. Celgene seeks to deliver truly innovative and life-changing drugs for our patients. Their vision as a company is to build a major global biopharmaceutical corporation while focusing on the discovery, the development, and the commercialization of products for the treatment of cancer and other severe, immune, inflammatory conditions. 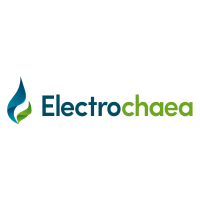 UChicago licensee Electrochaea, named one of the 100 Global Cleantech companies in 2014, uses electricity generated by the sun or wind to convert water and carbon dioxide, a greenhouse gas, into methane, the chief ingredient of natural gas. Electrochaea’s technology developed by Laurens Mets, PhD and UChicago allows storage of renewable energy as natural gas, making it a more attractive energy option and providing the potential for European countries to reduce dependence on foreign sources of natural gas. Licensee Evelo Therapeutics will advance an immunotherapy developed by University of Chicago oncologist Thomas Gajewski that employs certain gut microbes to boost the immune system’s attack on cancer cells and improve the effectiveness of anti-cancer drugs. Evelo, Gajewski, and UChicago will work together to bring this technology to the patient setting as quickly as possible, while continuing to explore the mechanisms of the microbiome in cancer. Each year, approximately 4.3 million students in 220,000 US classrooms use Everyday Mathematics, a comprehensive pre-K through grade 6 mathematics program developed by the University of Chicago School Mathematics Project and initially distributed by a University start-up, Everyday Learning. Dr. Luping Yu developed new chemical compounds to generate highly efficient organic photovoltaic solar cells as a source of clean energy. Dr. Yu’s compounds have reached record efficiencies compared to other material. 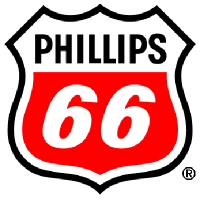 The technology was licensed to Phillips 66 in early 2014. Progenics Pharmaceuticals, Inc. develops innovative medicines and other technologies to identify, target and treat cancer. Their pipeline includes: (1) therapeutic agents designed to precisely target cancer (AZEDRA® and 1095); (2) PSMA-targeted imaging agents for prostate cancer (1404 and PyLTM); and (3) imaging analysis tools. Our first commercial product, RELISTOR® (methylnaltrexone bromide) for opioid-induced constipation, is partnered with Valeant. Progenics Pharmaceuticals, Inc. was incorporated in the State of Delaware in 1986.